"My deepest sympathy to Edith's family. Fresh out of High..."
"Mike and Julie I was So sorry to hear of your mother`s ..."
"Your mother and father, Edith and John Scheel will always..."
Edith was born in Endicott, Washington on September 30, 1917 in an apartment the doctor had over his office and drugstore. She was born to Charles and Mayme Richter. Her parents were wheat farmers and her mother raised 2,000 chickens for hatching eggs which she sold to a hatchery. This paid for the college expenses for Edith and her brother to attend Washington State College. While attending the School of Pharmacy at WSC, Edith met John Scheel, who would become her future husband. Upon their graduation as pharmacists, they were married in Pullman, Washington in 1940. These were the war years and while John was called overseas as a pharmacist in the U.S. Army, she worked as a pharmacist in Washington, Oregon and California. She enjoyed her work as a pharmacist and helping her customers with their prescriptions and advice. Edith and her husband John, owned and operated Capitol Hill Pharmacy in the original Vancouver Clinic for many years. Edith appreciated and dearly loved her family and raised two sons, Michael and Randall. She was actively involved in their school and extra-curricular activities. She and her family attended Trinity Lutheran Church where she was also very involved in church activities, especially the quilting circle. 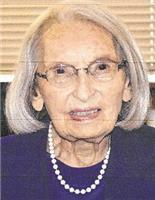 She was also a volunteer for many years at Southwest Washington Hospital and the Seaman's Center. Edith enjoyed traveling and she continued her love for learning about the United States and the world through classes at Clark College. She leaves her son, Michael (Julie); her daughter-in-law, Vicki; her granddaughter, Kim Sheron (Chad); and her two great-grandchildren, Maddie and Carter. She was preceded in death by her husband, John; her two brothers; her parents; and her son, Randall. A memorial service will be held on Sat., Aug. 20, 2016 at 10a.m. at Trinity Lutheran Church, 309 W. 39th St., Vancouver, WA. In lieu of flowers, please make donations to Trinity Lutheran Church in Edith's memory.